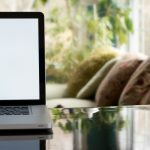 Disclosure: As a career writer and Work Life Management expert, I have partnered with Boise Paper to share tips and insight on how to improve professional efficiency and overall performance in a compensated series of posts. The opinions expressed within these articles belong to me, and are not indicative of the brand mentioned. Be a star performer at work with these tips to help increase productivity at work. In the fast paced work environment of most offices and workspaces, it can be difficult to consistently increase productivity while positioning one’s career for success, but make no mistake—it can be done. Over my eight years plus in Human Resource Management and team leadership, I’ve learned a thing or two on how to up your game while create a series of successful habits that keep you both efficient and effective while at the workplace. 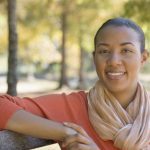 I’ve got 6 tips to help increase productivity at work that can help you be a game changer career-wise. Read them and then apply them to your daily arsenal for progress. Multitasking is a myth. Meaning, we’ve glorified the act of multitasking and being “busy” when in actuality, it is counterproductive to truly being efficient. Why do many things at one time well when you can focus on one thing at a time being exceptional? I don’t know about you, but I would rather choose the latter. Start your day with a to-do list, focusing on the goals for the day. Then break up the goals into key steps for completion. Work on each step one at a time, until you reach a stopping point or until you are done. This will help you power through your day with ease while actually finishing your work. We often start our day and tackle assignments without having metrics in place to set the tone. For example, on your to-do list, you may have the goal of completing a major report for your department. You should know how long the report should take to get done—how much research time will need to be conducted, what key players will be involved and how much time it will take on their part for their input, etc. When you know these things, then you can properly plan and then attack the challenge. Understand the time it will take for everyone involved, what roadblocks and obstacles that may be in place and how to overcome them, and a possible plan B or C in place will not only keep you properly prepared, but helps keep you productive and at the top of your game. The Internet, Facebook, Twitter, and other social networks can interfere with your workflow. Turn off the noise and work offline so that you can concentrate and get your tasks done with time to spare. Turn off your wifi and focus on the tasks at hand. Once you get to a stopping point or a break, then you can use your devices to check out what you may have missed. Help encourage yourself to get your work done and not procrastinate with a reward. When you are finished, say with that marketing report you’ve been avoiding, take yourself out to dinner at your favorite restaurant. Having rewards in place can help you slay the giant projects you’ve been fearful of, while giving you something to look forward to. Organization is key to not only saving you time, but also helps keep you stress free and poised for greatness. Always keep your workspace in order and have a system in place so that you know where all of your tools and supplies or located. 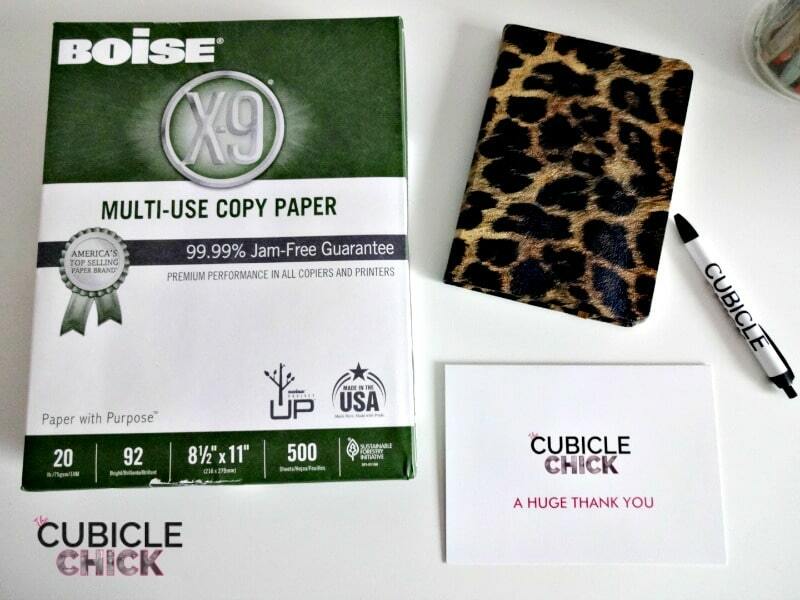 File daily paperwork and other materials to stay free of mess. The less time you spend looking for things, the more time you can spend actually doing the work. In order to be properly prepared, you have to have a plan. Going into a project or situation without one can be a recipe for disaster and a time waster, so always draft a plan in place for your workday and edit it if you need to as you go. 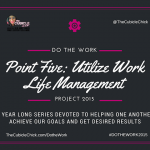 This will go a long way for your time management, efficiency, and overall quality of work. Increased productivity is key to tapping into your potential, while showcasing your strengths. I hope my tips assist you in having even more success at work. For your printing and copying needs, you want to use the best. 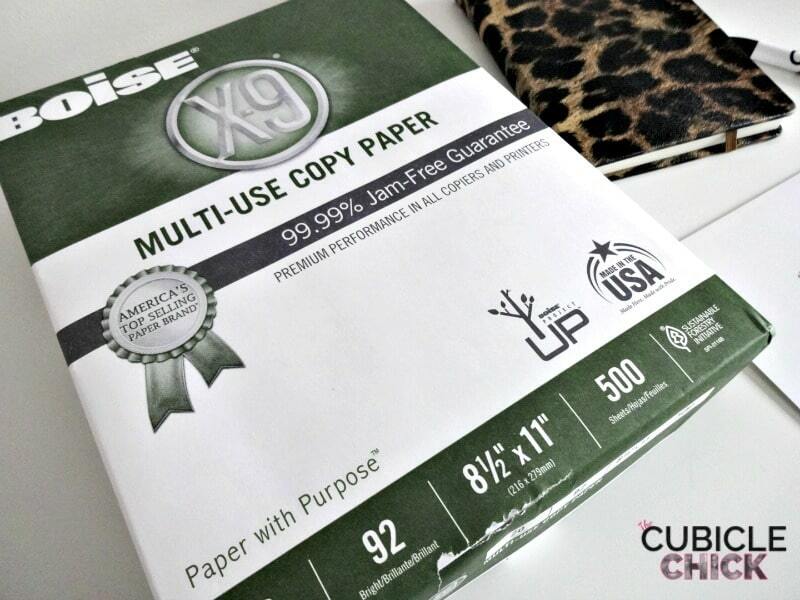 Boise Paper X-9® Multi-use Copy Paper is proudly made in the USA and is a great solution for day-to-day printing and copying right before your eyes. It is also an exclusive Red Cross partner with awareness campaigns on X-9 paper packaging, which makes it the paper with a purpose. Boise X-9 is also certified by the Sustainable Forest Initiative (SFI), ensuring responsible forestry in the product sourcing, and is 99.9% jam free. Visit BoisePaper.com for more information. Great points there Danyelle. Thanks for sharing your insights. I’m sure this has changed slightly since you’ve posted it, but it’s all still pretty relevant.